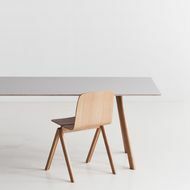 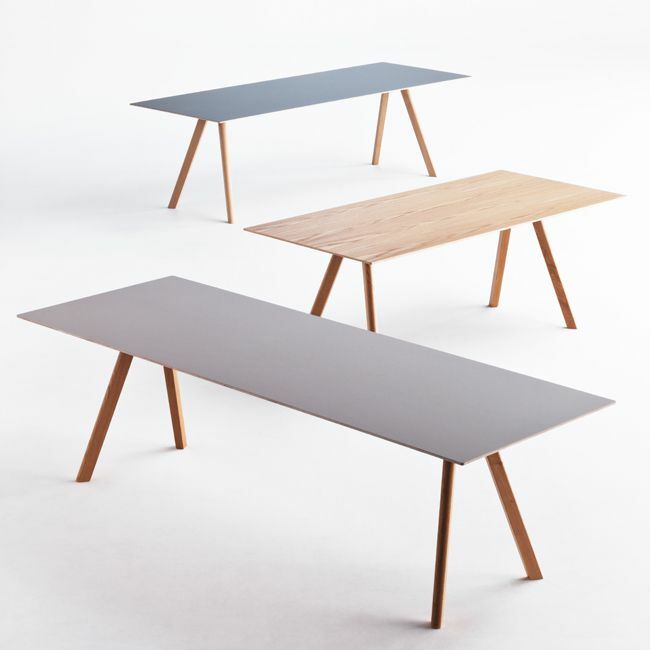 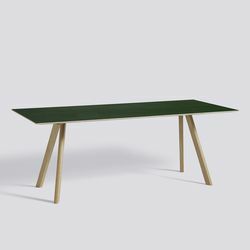 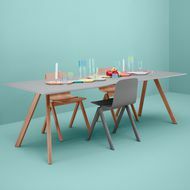 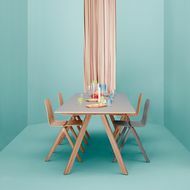 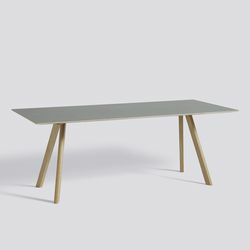 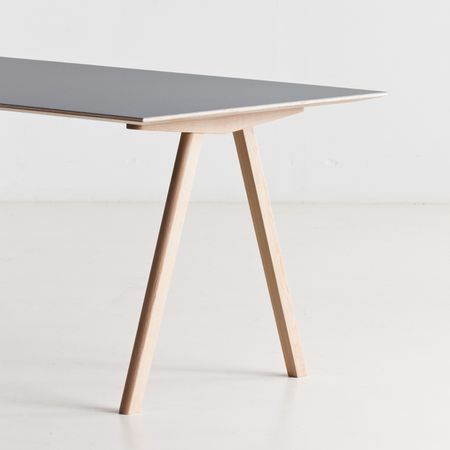 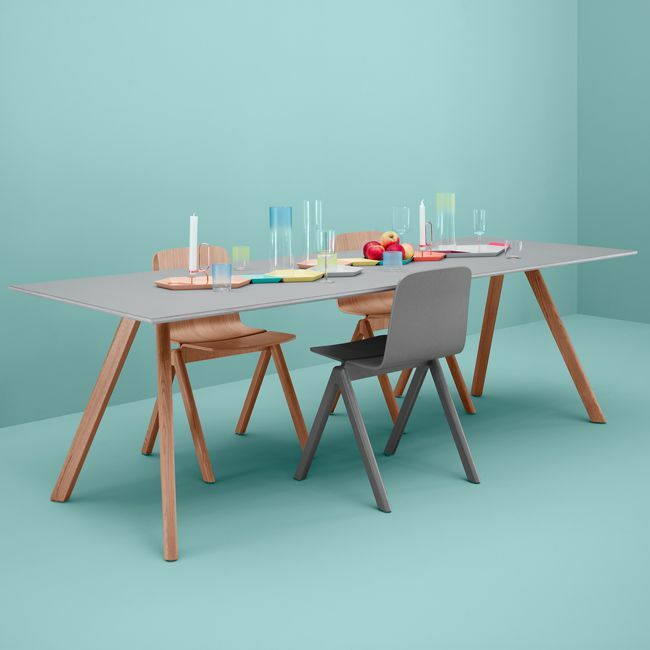 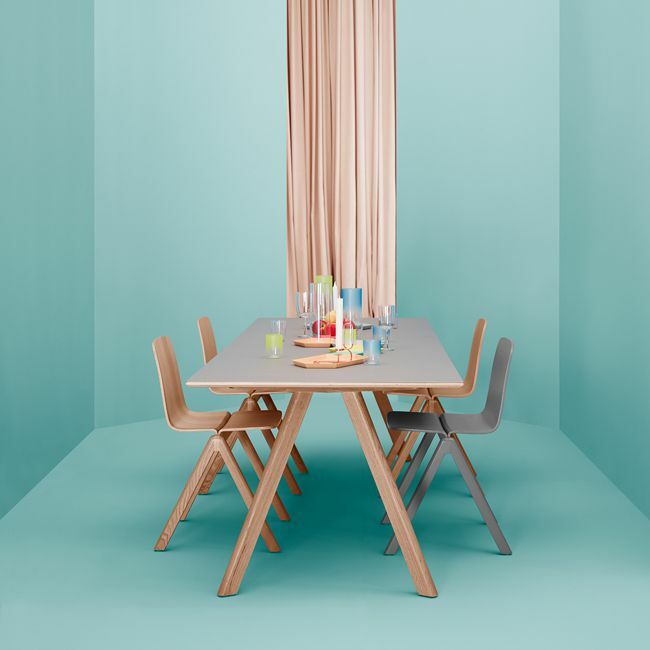 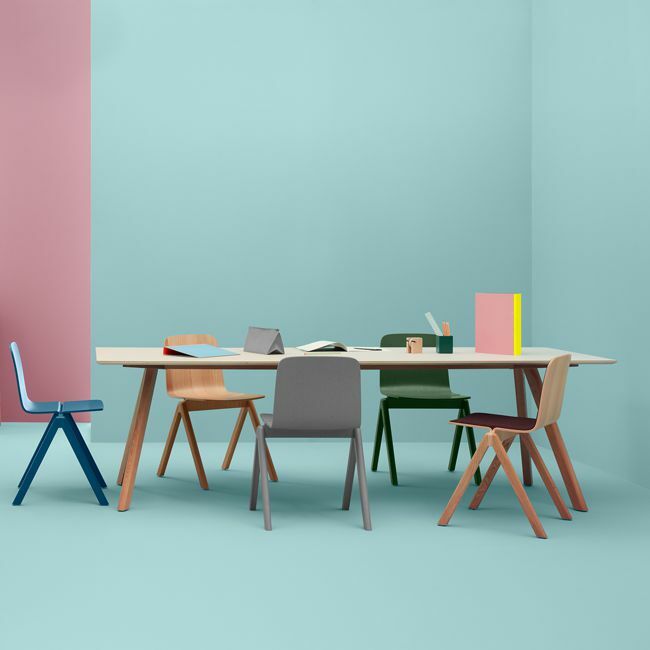 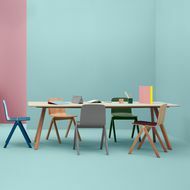 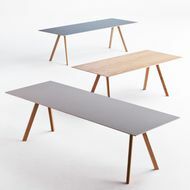 Copenhague table CPH30 by HAY is made in solid oak frame and tabletops in plywood with oak veneer or linoleum. 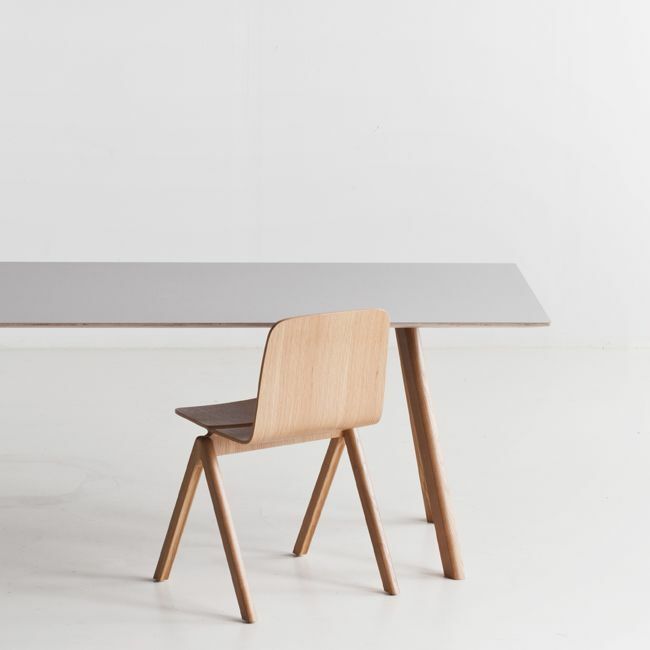 HAY has invited Ronan and Erwan Bouroullec to design a new collection of furniture for the redesigned University of Copenhagen (KUA). 200x90 cm. 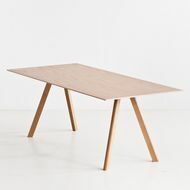 250x90 cm. 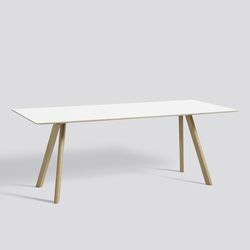 - 300x90 cm. 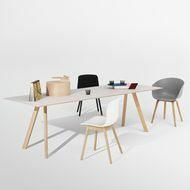 250x120 cm. - 300x120 cm.